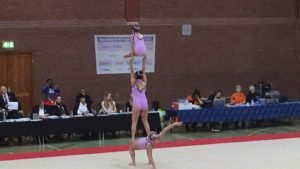 Emma Harris is a member of Synergy Gymnastics Club in Coventry and specialises in gymnastics, tumbling and acrobatics. 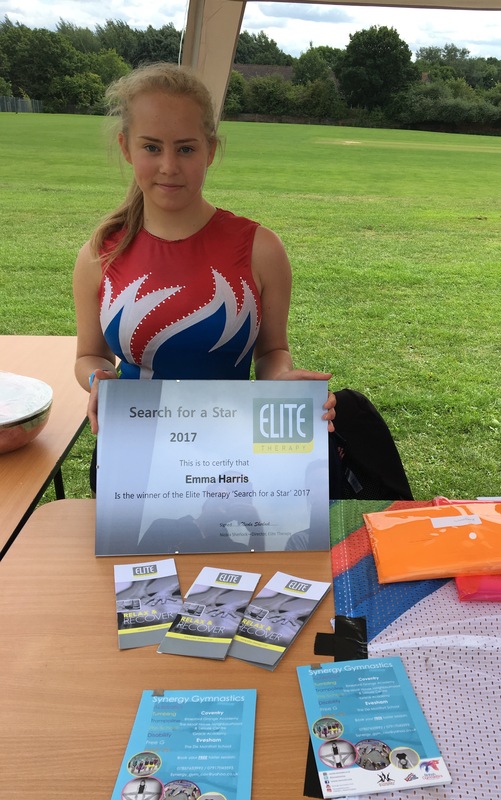 We first discovered Emma from our Search for a Star Campaign in 2017 and we were so impressed with Emma’s achievements as well as her ability to balance sports and her academic work, we asked her to stay on with us! Here’s Emma’s latest update…. I’ve been really busy since September. 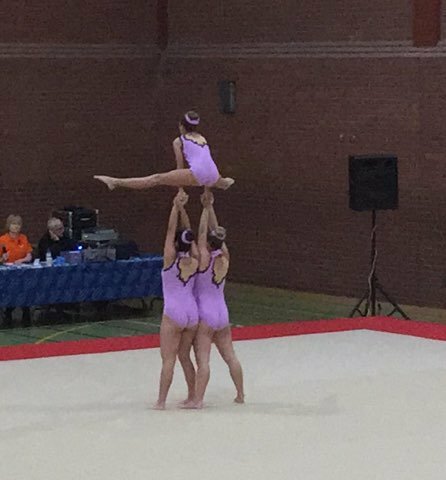 We have been up to a competition in Newcastle with the Synergy Display Squad to perform our group routine which went really well. The trio I have been working with managed a very pleasing 3rd place and we’ll compete again in March to see if we can go on to National level. We’ve also performed at a GymFusion event recently at the Birmingham Hippodrome with the display squad. 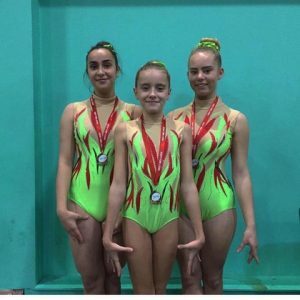 We held a fundraising night last Saturday to help raise funds for our competitions and we have our last GymFusion event at the end of this month in London. On 8th December the club are putting on an annual display where we perform for family and friends and anyone is welcome. 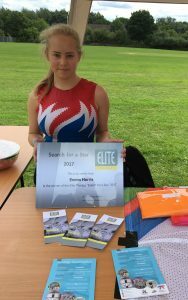 I haven’t neglected my studies despite being so busy and have had offers for places at both University of leicester and Nottingham Trent!